All you need is very basic crochet skills to make this pretty crochet necklace, however; you do need a keen eye for detail as you follow a template in order to weave this piece together. All it is, is a long crocheted chain. You weave it as per the diagram, and then add a nice lacy border. That's it! This simple project is great for Valentine's Day! 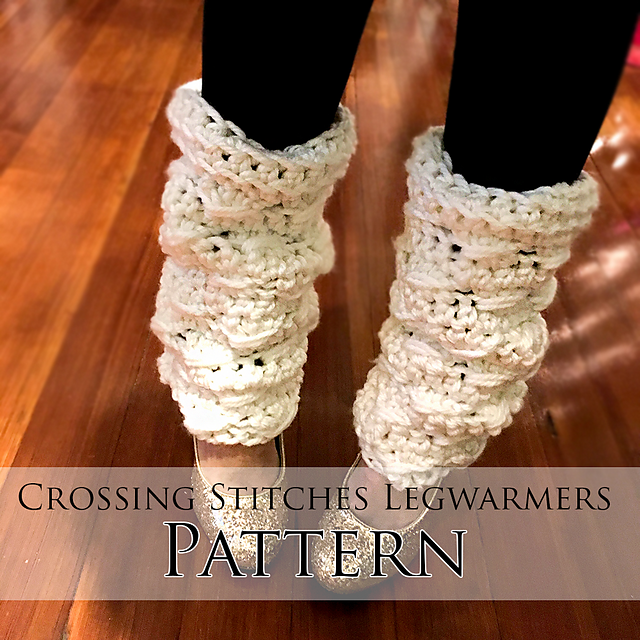 A great way to keep you legs warm during the cold winter months are legwarmers of course. Wear them casually around the house or dress them up with a nice pair of shoes and leggings. 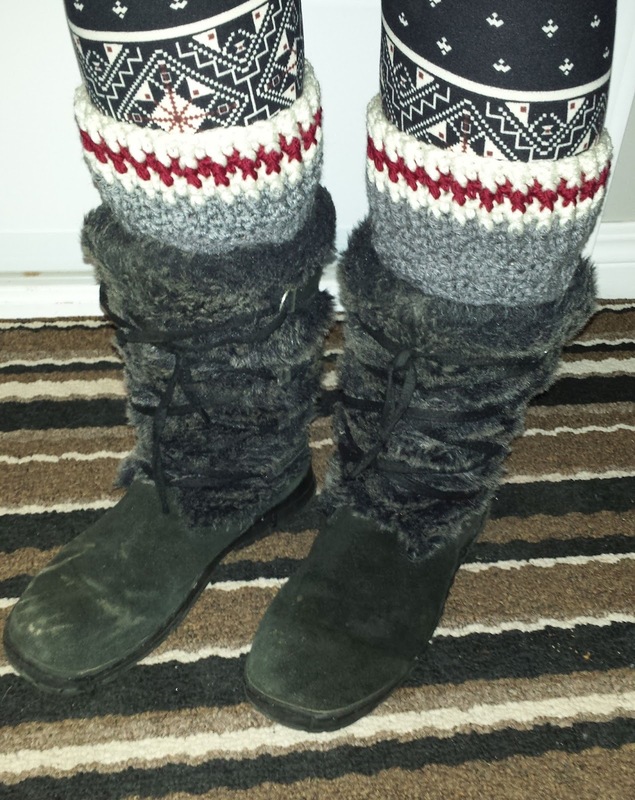 you can even wear them as boot cuffs if they fit under your boots, or wear them over top of your boots! 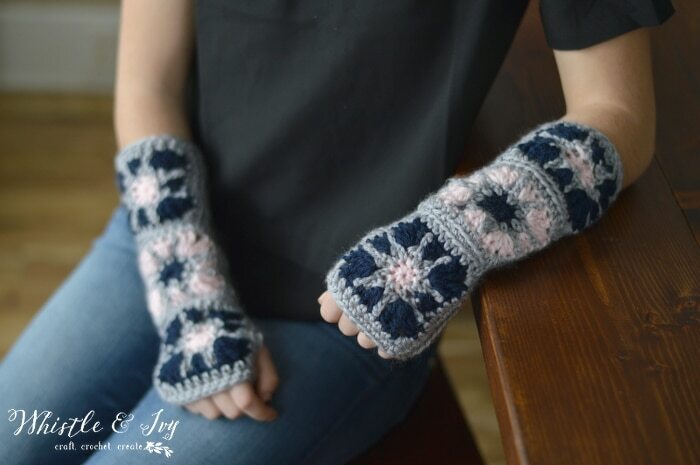 These beauties feature a spiked stitch to add interest to this nice design. This is a Ravelry download. 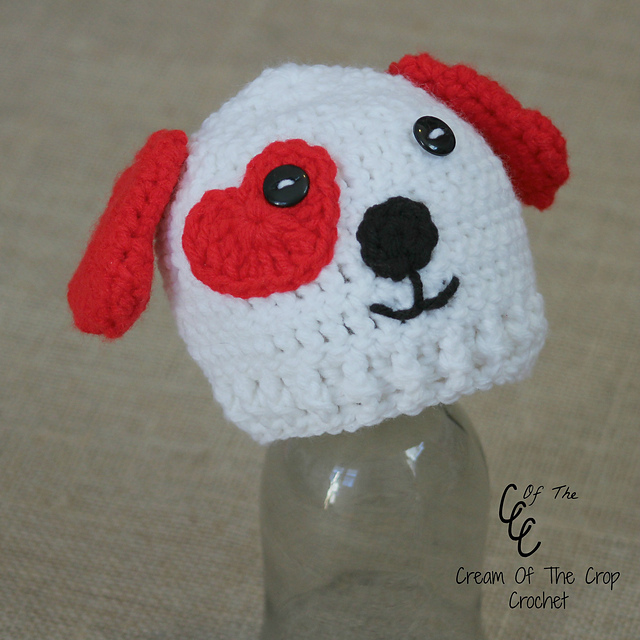 This wee little Valentine puppy hat is adorable! The patter is sized from preemie to newborn only, however... I think this would be very easy to adjust to a larger size if needed. This crochet pattern includes excellent written instructions for the hat and all of the attachments. These little crochet hearts are perfect for Valentine's Day. There are so many options and ideas for these! While they look lovely in traditional pinks and reds, this is another great project to use up your scrap yarn. You could use them to make a garland, coasters, embellishments for hats, scarves, headbands, home decor such as cushions, double them up and make a small pouch, and more! I especially love the overlay and how the background color peaks through. The pattern is written very nicely and not only includes a photo tutorial, but a diagram as well. I love it! This cool crochet ottoman uses an argyle pattern to cover a bean bag chair. I think this would be a great way to reuse an old bean bag and give it new life. Make it the colors of your choice to match your room decor! 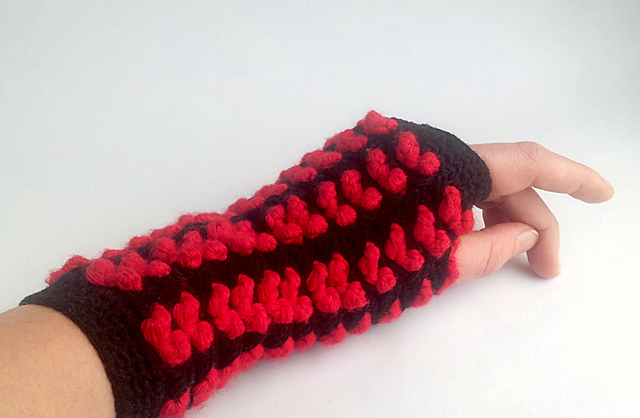 Check out these sweet heart fingerless gloves! Make them in time for Valentine's Day, however, they are so cute, you can wear them anytime. I love how the red hearts stand out against the black. This is a Ravelry download. New Year Round-Up: 6 Things I want to learn in 2016, and so should you! Happy New year! Well... I know I'm a little late, it's well into January, but I've just finished up all of my projects and custom orders from December. So to me, it finally really feels like the new year has just begun! With a new year, of course, comes resolutions, goals, and aspirations. Mine always seem to revolve around business, crafting, and most importantly... learning. There's nothing more self gratifying than learning a new technique or lesson, because it helps you grow and have the ability to share what you've learned with others. Last year was a very busy year for me outside of crafting, but I did manage to learn a couple new things! I learned how to crochet cables of all sizes and styles, and I finally overcame my fear of broomstick lace. (I began broomstick lace by learning how to make a scarf from this amazing video tutorial from b.hooked) Now I need to break my addiction from those techniques (but they're really fun! ), and I'm very eager to jump into learning some new things. This is my personal list of goals for 2016. If you already know how to do these things, I admire you! 1. Have you ever been in the craft department to buy a new crochet hook, and see those crazy long hooks with the nub or ball on the end? Even better... Have you seen the hooks with double ends? Have you asked, "What on earth are those for?!" Answer: Tunisian Crochet! I am still quite bothered by the fact that I have not learned how to do this yet! Tunisian Crochet is often called Afghan Crochet. You got it, because it's often used in afghans. 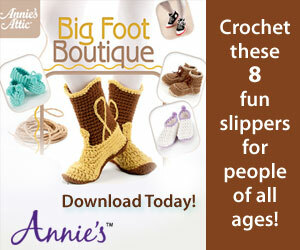 But... it can also be used to make just about anything else that you could crochet. It's a sort of knit and crochet technique combined, where you "cast on" stitches to the hook. This is why that ball or nub is on the end of the hook, so that the stitches don't fall off! You work back and forth in rows, basically pulling yarn through the loops. That's all I can tell you, because I haven't done it yet!!! On the other hand, there's the double ended Tunisian crochet hook; which is for working in rounds and using 2 strands of yarn. Why do I want to learn this technique? 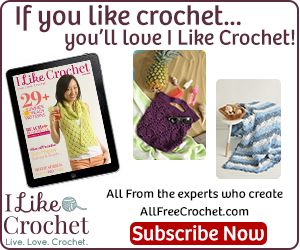 Because I feel obligated to (with blogging about crochet and stuff! ), and; I want to make beautiful things using the afghan stitch, knit stitch, and entrelac to name a few! So once you have a loom (and a crochet hook of course), you can begin. So from what I can gather, what happens next is; you wrap the yarn around the sides of the hairpin lace loom to create loops which are held together in the center with normal crochet stitches. Then, the entire piece is removed from the loom and you have these un-worked loops hanging off the sides. This is where some magic happens and you weave the ends together as one separate piece or join them to another piece. 3. People say that if you can crochet, then you can Knit, and vice versa. Ha ha ha ha ha... ha ha. Not I, says this crocheter! I tried to knit one time. My mother tried to show me when I was a kid. I started making a scarf, and I thought it was all going well, until my scarf kept getting bigger and bigger, and the tension got all weird, and I quit. But I caught on to crochet quickly and have been hooked ever since. But just maybe I wasn't ready for knitting at that time. I liked crocheting too much, that the desire to knit kind of faded away into nothing. But now, several (MANY) years later, I feel ready! It may be because when I spend hours every week looking for crochet patterns to post to my blog, I often run into knitting patterns that I absolutely adore! And also, when people send me messages that they want me to crochet something for them, and then they send me a knit photo or pattern because they don't know the difference. Oh, but I do! There really are just some things that look better knitted. I admit it. And it hurts. But I am going to take the bull by its horns this year and learn to knit! I swear by it! I have all of the needles, gadgets, and accessories, I have no excuse. 4. Tatting. I actually just heard of this about 4 years ago and was quite intrigued. I really do not know much about it at all! But I do know, that you use a small gadget called a "shuttle" to create some pretty sophisticated looking lace! I actually came across this while I was looking at crochet masks on Etsy one day. If you follow my patterns at Firene Designs, you will be familiar with my crochet mask patterns. When I'm writing or have an idea for a pattern, I do a search, to see if it's already been done. When I finished Sugar Skull, I did just that, and during my search I came across the most amazing masks! They were done by tatting, and I made a note to self to learn how to do this! Funny story. So I set out to find a tatting shuttle one day. I live in a rural area outside of a small city. So all I have for craft stores is basically Michaels Craft Store, and a hand full of specialty yarn stores. So I went to Michaels in hopes to find a shuttle. I'm walking around aimlessly, looking lost, when an employee approaches me and asks me if I need help. I state that I am looking for a tatting shuttle. The employee looks at me like I have two heads, and states that Michaels does not sell tattooing supplies. I think she thought that I was pretty dumb at that moment... so I told her about "tatting" with a shuttle and thread, it's not common!! We both had a good laugh. But no, no tatting shuttles at Michaels. So I stared at and ogled the yarn section for two hours and went home. (With several bags full of yarn) So it may seem, a shuttle could be a difficult thing to find (in my neck of the woods anyway). I think I'm going to have to purchase one online. 5. It's knitting with a hook! It's called Knooking! Maybe I'm going overboard here, with wanting to learn to knit this year, so this is something that I may wait to learn after I master knitting. I had never heard of this, until honestly, about three months ago. It's an entirely new concept, that uses a special crochet hook to make knitted fabric. Apparently you attach a cord through the hole at the end of the hook. 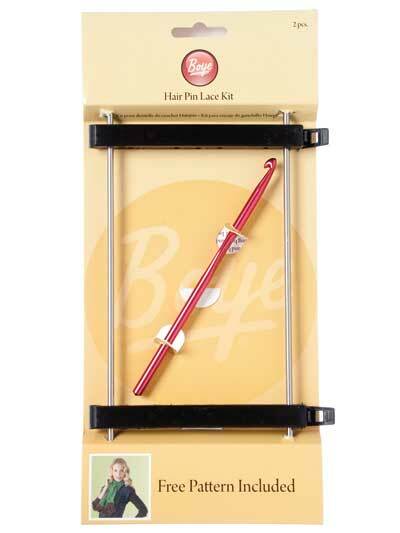 You slide the stitches down off of the hook and onto the cord, and work into them again for the next row. Honestly, I am still confused. That's why I feel that I need to learn this, it's bugging me! 6. Now this is something that I've always wanted to learn to do properly. Yarn Dyeing sounds like so much fun! I have heard that it's a lot of work, and can get pretty messy (maybe I will try this when my 4 year old is not home!) 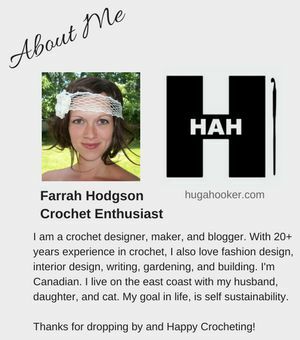 I used to sell crochet stuff at an amazing farmer's market a few year's ago. The only reason that I'm not there now, is that I moved away! However, there was a vendor there, an awesome crafty lady who spun, and hand dyed her own yarns. She also knitted, crocheted, and weaved beautiful items. I think she also made jewelry! A Jill of all trades. Anyway, her yarns are what got me, she had a great eye for color, they were eye catching and quite beautiful! Now I don't have my own wool to spin, and I'm not really wanting to spin yarn. And spinning wheels are really expensive! 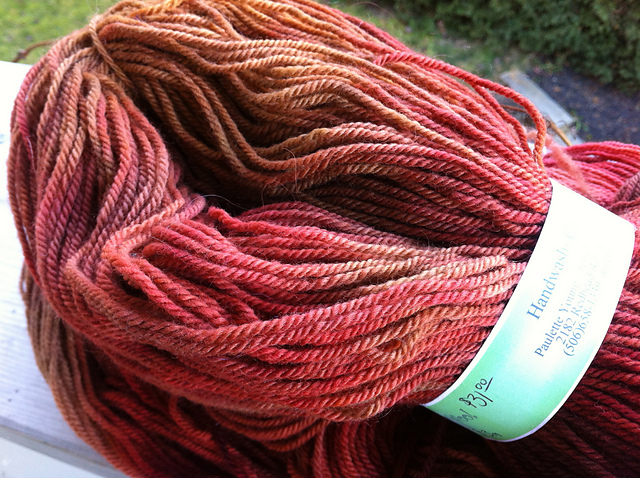 But I do want to get my hands on some raw fibers so that I can dye them! Have you done any of those things listed above? I'd love to hear from you! If you're interested in writing a guest post about any of those techniques, shoot me a message! Any time... this year. I love crochet when it coincides with home decor! Check out this big chunky pillow pattern from Red Heart. Using a bulky yarn and large hook, it works up quickly and makes a nice accent for your home! What's great about making your own decor, is that you can make it any color you want to match the rest of your room. This pattern requires a lot of sewing and assembling, but I'm guilty of using my old outdated pillows as the form for my new crochet ones! 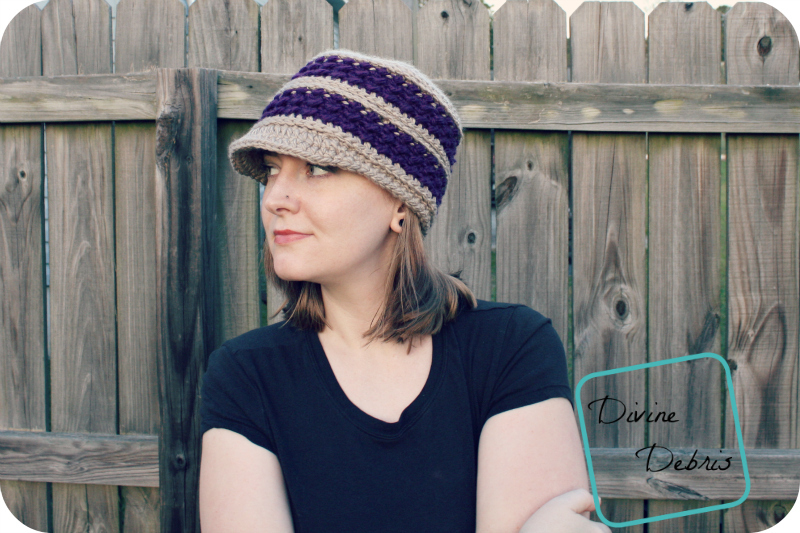 The ever so popular slouchy hat has taken over the crochet world by storm these past few years, and this simple hat is a great pattern to add to your collection. Instead of working in the round, you work back and forth in rows and the hat is cinched together in the end. 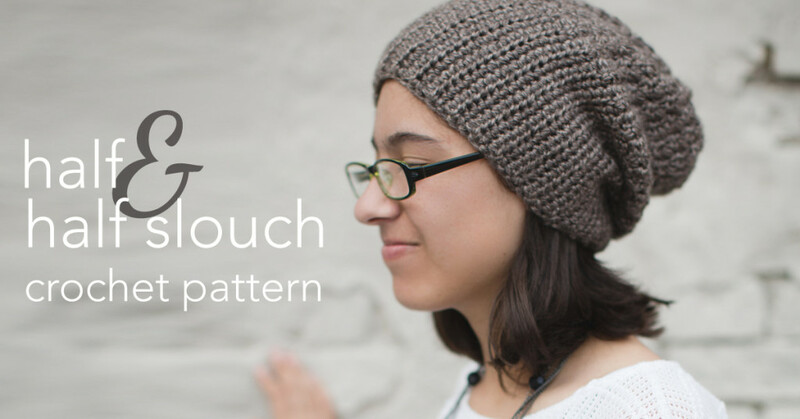 One side of the hat uses basic single crochet stitches to give the ribbed effect and works into a nice stitch pattern as you work up the opposite side of the hat! Size: One Size Fits Most (Preteen - Adult Woman). You will be sure to catch attention with this bold and beautiful braided crochet cowl! 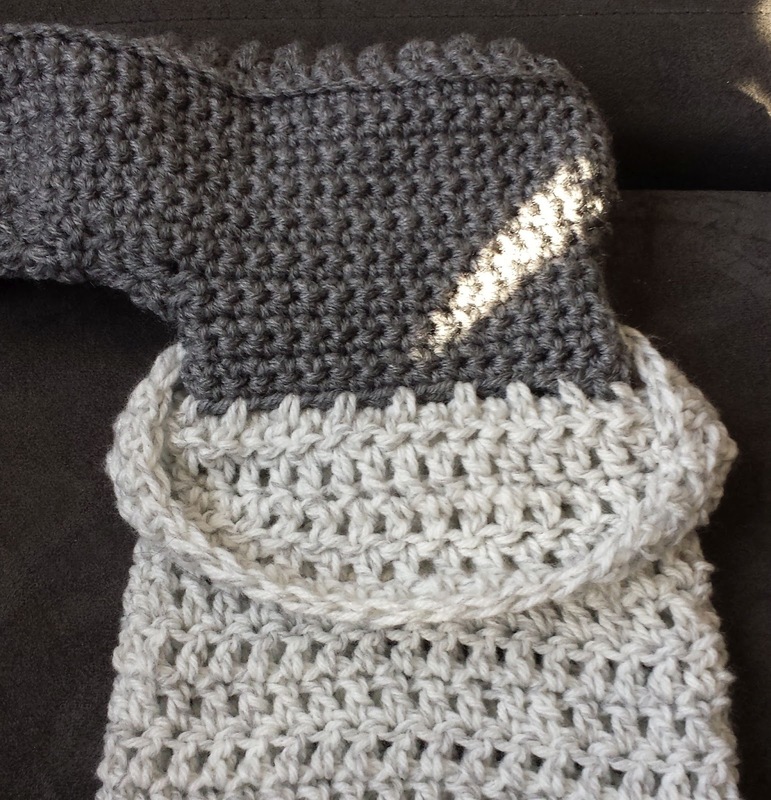 If you know your basic crochet stitches, then you'll have no problem completing this project. The pattern includes a photo tutorial which will help you assemble the braids, and what's also very cool, is the button fastening on the back that closes the cowl! Worsted weight yarn in color Linen from Lion Brand Vanna's Choice. I was finishing up a project one day that used these yarns, and didn't really have enough left to make anything big. Then I went on to make some boot cuffs using a different color and pattern for a friend... and while making those boot cuffs, the idea for these boot cuffs popped into my head. 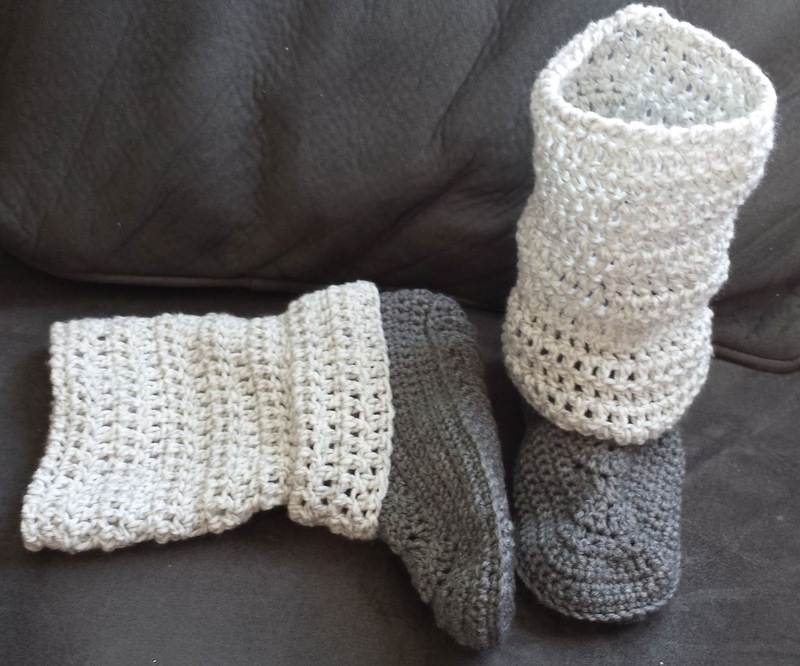 I've included 3 different sizes, depending on where you will wear them on your legs, as boots have different heights. The small (12 inch) size is the standard size. I really like the traditional grey/red/white colors that you often see in knit socks (and monkeys) so here it is! Rnd 1 (Right Side): Ch1, do not turn; sc in same st as join, skip 2 ch, 5dc in next ch, skip 2 ch, (sc in next ch, skip next 2 ch, 5dc in next ch, skip next 2 ch) (7) 8 (9) times, sl st in 1st sc to join. Rnd 2 (wrong side): Ch3, turn; 2dc in same st as join, skip 2 dc, (sc in next dc, skip 2dc, 5dc in next sc, skip 2 dc), (7) 8 (9) times, skip 2 dc, sc in next dc, skip last 2 dc, 2dc in same st as beginning ch3, sl st in 1st dc to join. Rnd 3: Ch1, turn; sc in same st, skip 2 dc, 5dc in next sc, skip 2 dc, (sc in next dc, skip 2 dc, 5dc in next sc, skip 2 dc) (7) 8 (9) times, sl st in 1st sc to join. Rnd 9: Ch1, turn; sc in same st as join, sc in next st, (hdc in next 3 sts, sc in next 3 sts) (7) 8 (9) times, hdc in last 3 sts, sl st in 1st sc to join. Rnd 10: Ch1, turn; skip joining st, (sc in next st, dc in next st) (23), 26 (29) times, sl st in 1st sc to join. Rnd 11: Ch1, turn; (fpdc over next dc, sc in next sc) (23) 26 (29) times, sl st in 1st st to join. Rnd 12: Ch1, turn; (sc in next sc, bpdc over next post st) (23) 26 (29) times, sl st in 1st st sc to join. Rnd 13: Attach WHITE, fasten off GREY; repeat rnd 11. Rnd 18: Repeat rnd 12. Fasten off. Sew n ends. 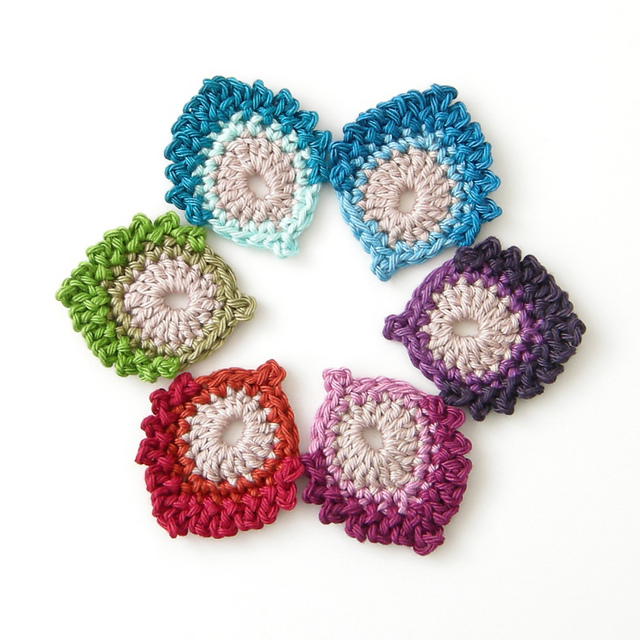 I love granny squares and I love this crochet pattern! Arm warmers (or fingerless gloves, mittens, glittens, whatever you want to call them) have become a popular winter fashion accessory mostly due to the cell phone age. 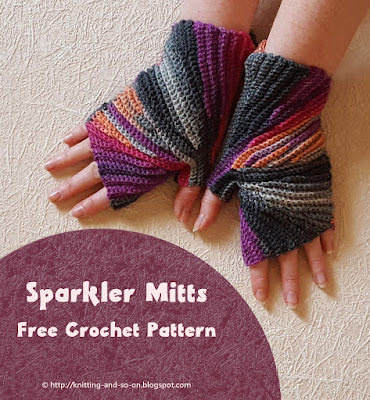 Freeing up your fingers to perform tasks limited by mittens and gloves can look very stylish! I feel like posting a really cute pattern today! 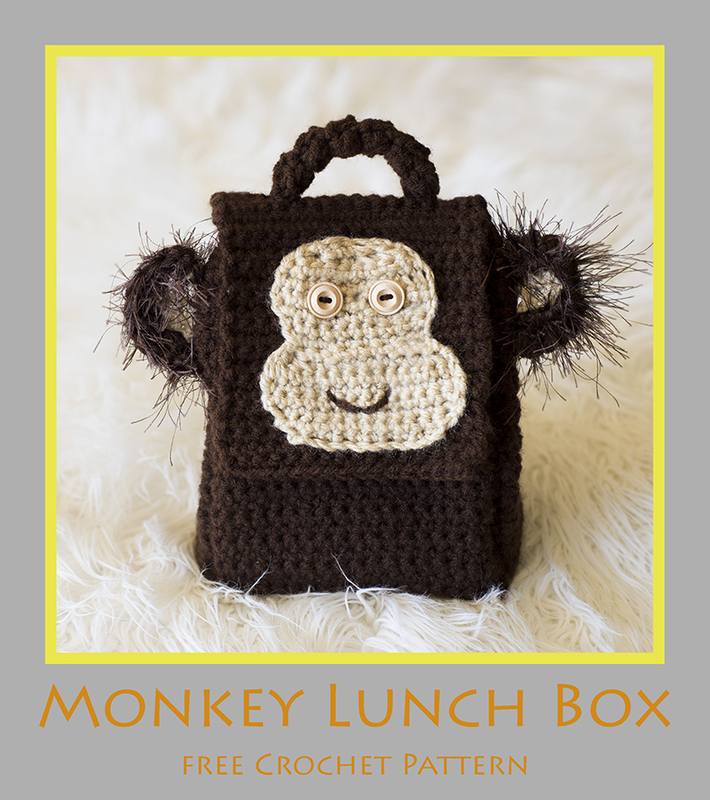 This crochet monkey lunch box is sure to bring smiles to everyone, including kids, teachers, yourself, and maybe even your co-workers! If you have no need for a lunch box, this also makes a great carrying case for storing anything you want. 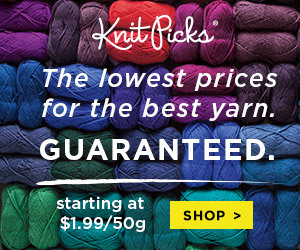 Approximately 220-235 Yards of Worsted (4) Weight Yarn (Approx. 200-210 Base Color 1, Approx. 20-25 Accent Color 2). These colorful little crochet peacock feathers are perfect for use as jewelry, such as earrings, and necklaces. You could probably even make an amazing headpiece with these! Use them for whatever you want and tie them into whichever project you wish, because they are so pretty! This is a Ravelry download. This really cool crochet slouch hat also has a worsted weight version, but personally, I love this version the most! (the other one is still pretty cool, check it out) I love the large texture and how the post stitches change direction, giving the spiral effect. 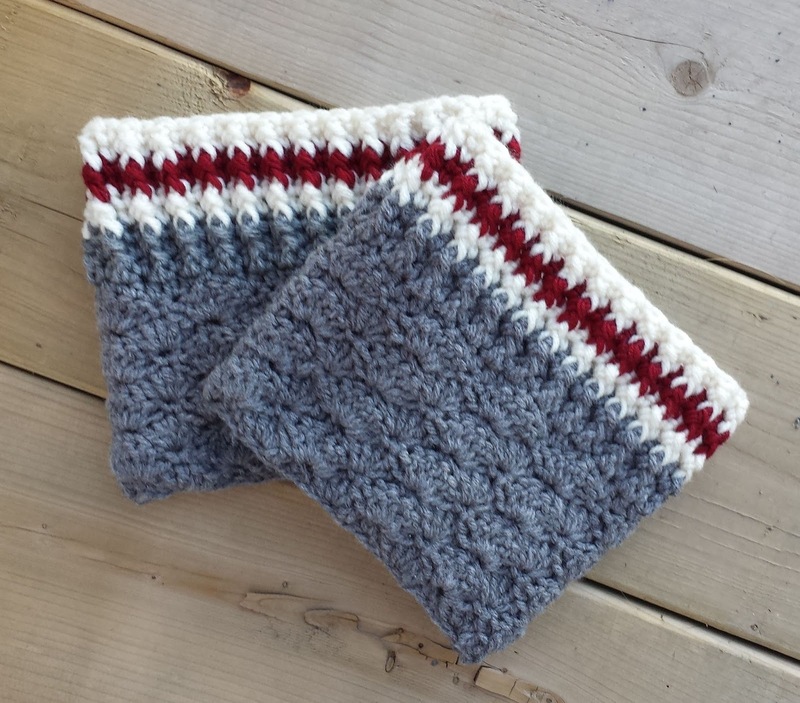 This pattern uses bulky yarn, which also makes it work up quickly. 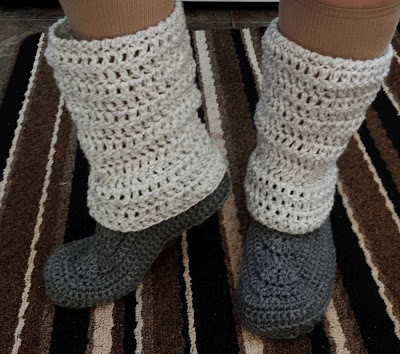 These crochet legwarmer boot style slippers are a result of a custom order that I recently made for a customer. I was sent a random photo of some slippers that were posted on a local buy/sell web site, so "someone" has made these before. But from which pattern? Did they invent them? What materials did they use? I do not know! A google image search brought me this one and only photo which has since been removed. ( I assume they sold them!) So... began the thought process. The slipper bottoms look a lot like the bottoms of of my short crocodile boots, so I rolled with that. The tops, are really easy, just basically rows of dc stitches. The tops are attached to the bottoms as you work from top to bottom, with no sewing required! But as simple as they are, they are quite cute and comfy! Enjoy! Craftsmart Value (from Micheals, similar to Red Heart Super Saver) Worsted (4) 364 yds/333m; 7oz/198g; 1 ball grey. -Ch1, turn; Slip stitch in first sc, (sl st- ch 1- sc) in next st, 1 sc in next st.
ex: Ch2, turn; 1dc through next dc of legwarmer AND 1st sc of slipper, dc in next dc of legwarmer, skip next sc of slipper, 1dc through both next dc of legwarmer AND next sc of slipper... etc. Draw up a loop from the beginning log tail where you left off. Work a Crab Stitch (Rsc) all of the way around (right side facing). Sl st in 1st st to join. Fasten off. 'Tis another season of warm textured everything! 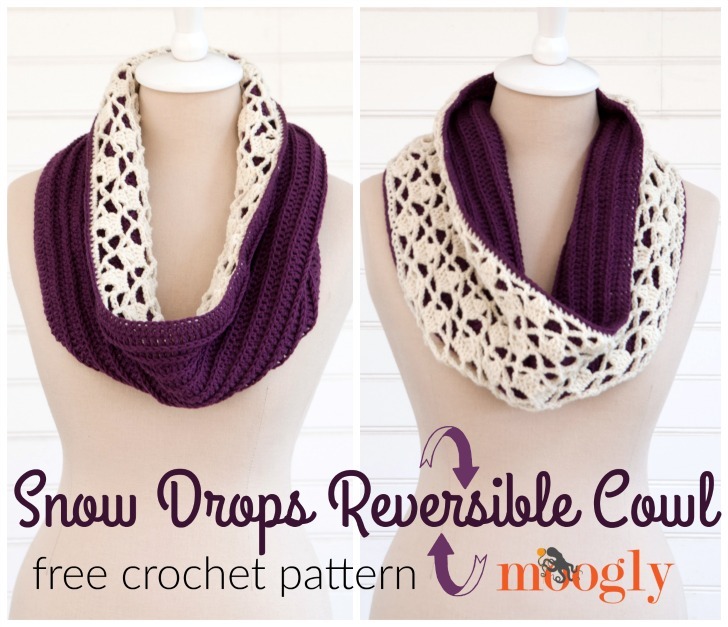 Here's a great crochet cowl pattern that uses simplicity to create something beautiful! 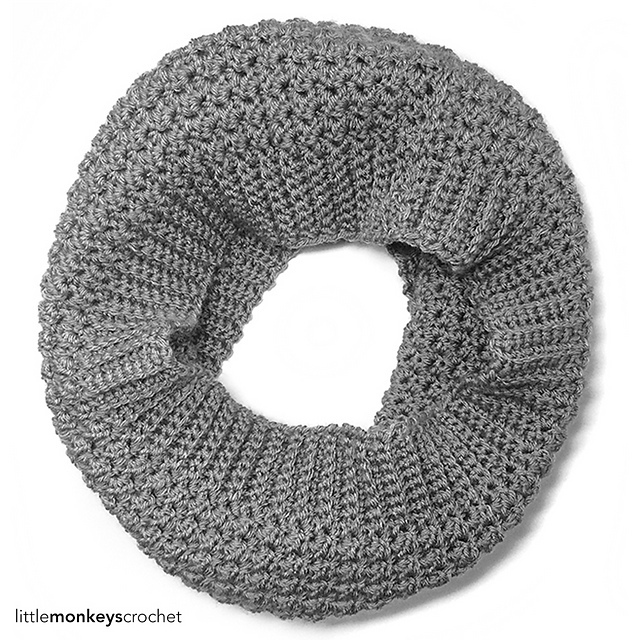 Ribbing, simple crochet stitches, a nice lightweight yarn, and a solid color, make this cowl stand bold. I love a great newsboy hat, and I love this particular crochet pattern. The newsboy seems to be a timeless style of hat that looks good on everyone! This pattern also uses bulky yarn, which makes it work up quickly. What a great idea! This beautiful crochet cowl uses simple double crochet stitches on one side, and elegant lace on the other. 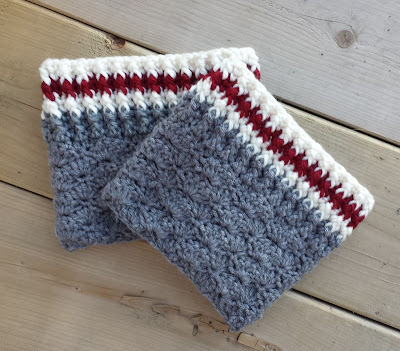 By crocheting them together, the result is a reversible, extra thick, lovely cowl with interesting texture!